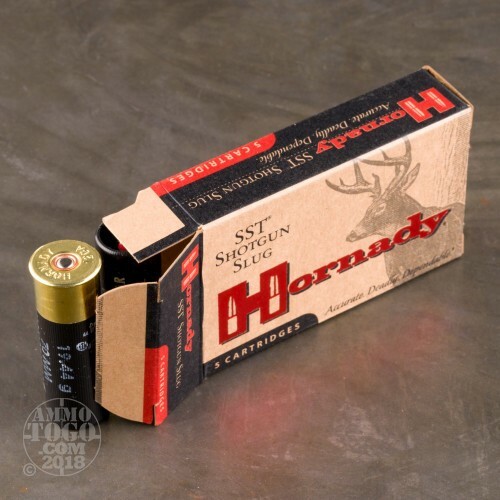 Hornady has taken the proven accuracy and performance of their patented bullets and transformed it into a shotgun slug. 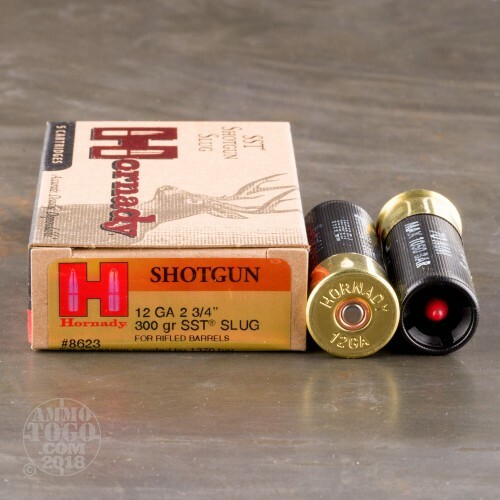 This is Hornady's famous Super Shot Technology in a format for your shotgun. With the ability to deliver 2-inch groups at 100 yards, these shotgun loads make your 12 gauge shotgun outperform some center fire rifles. Designed only for use in fully rifled barrels, these sabot slugs bring unheard of accuracy and terminal performance to the table. Perfect for areas that restrict rifle usage, this ammunition offers comparable long range accuracy and big game knock-down power for your 12 gauge. Featuring a massive 300 grain patented FTX slug, these loads fly faster, farther, and flatter than most other shotgun slugs. The special polymer Flex Tip initiates rapid and reliable expansion at all velocities. 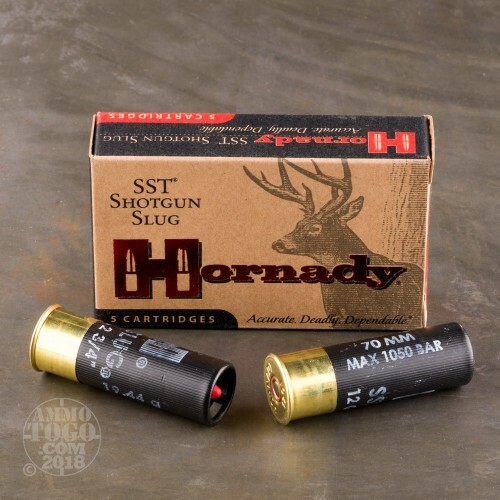 Leaving the barrel at a rapid 200 feet per second, each 2 ¾ inch Hornady SST Sabot Slug smashes into 100 yard targets with a crushing 1793 foot pounds of energy. 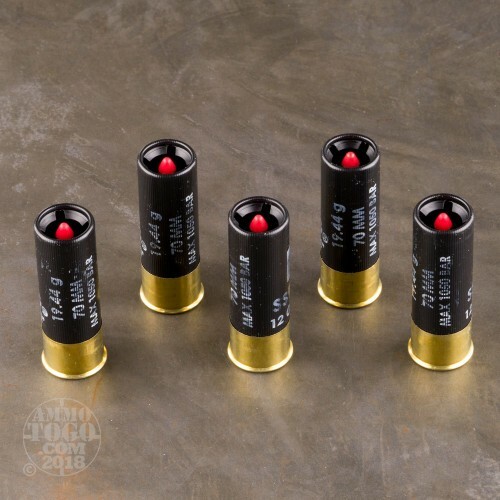 Packaged in 5-round boxes, these loads are ideal for big game hunting and home protection. Best slug round on the market, one shot is all it takes with these. Highest recommendation! This is the best performing slug for a rifled barrel. Sight in for 0 at 150 yards and you are within a 2 inch circle out to 200 yards! I am in a shotgun only zone for deer season and have tried more expensive rounds but these by far are the most consistent and are the cheapest! One shot precision kills with no wasted meat! I use a 2-9x32 scope with a Remington fully rifled 24" barrel.